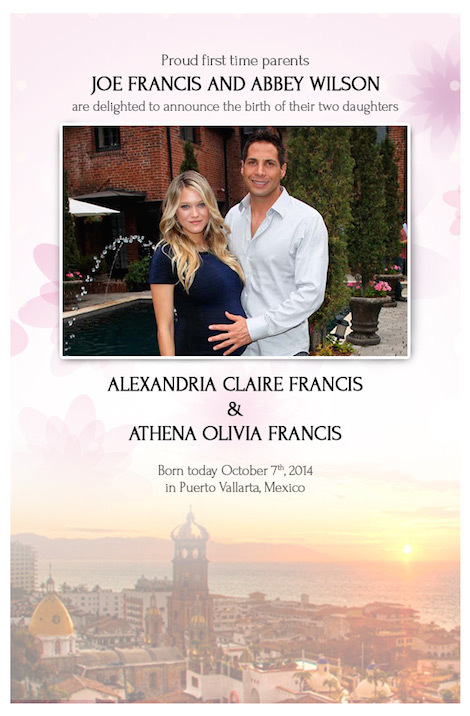 Joe Francis and longtime girlfriend Abbey Wilson are proud to announce they are pregnant with twin baby girls. The happy couple couldn’t be happier with the anticipation of their new additions. Ok Magazine was first to report the exciting news. And it should be no surprise that Joe and Abbey are already getting parenting advice from their famous friends. You can read more exciting baby news HERE.